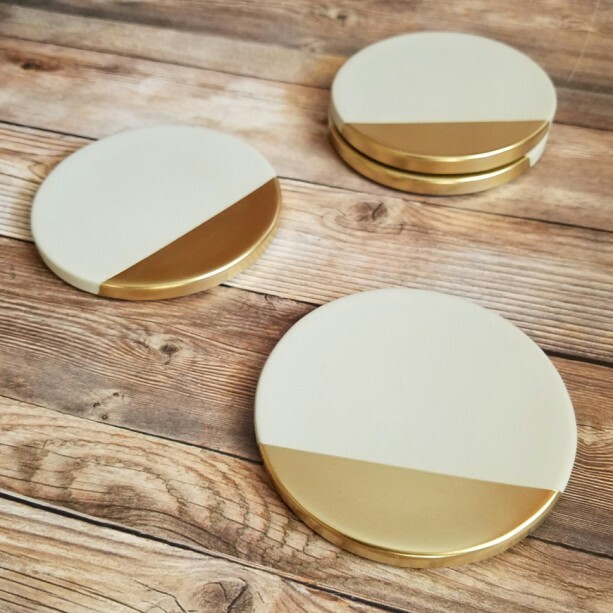 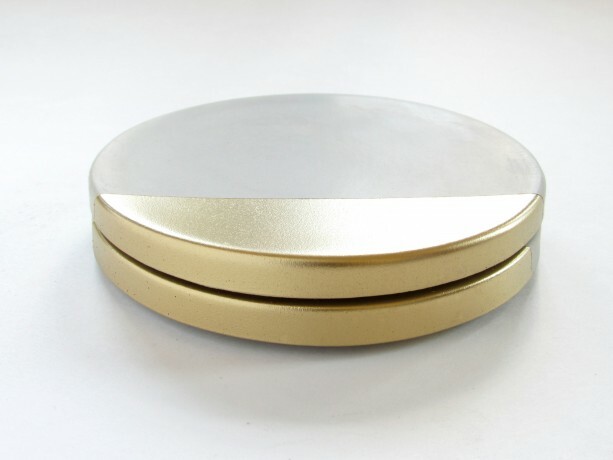 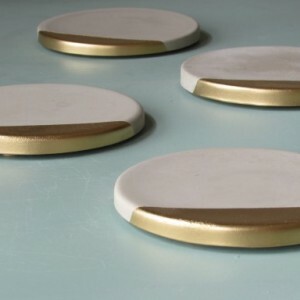 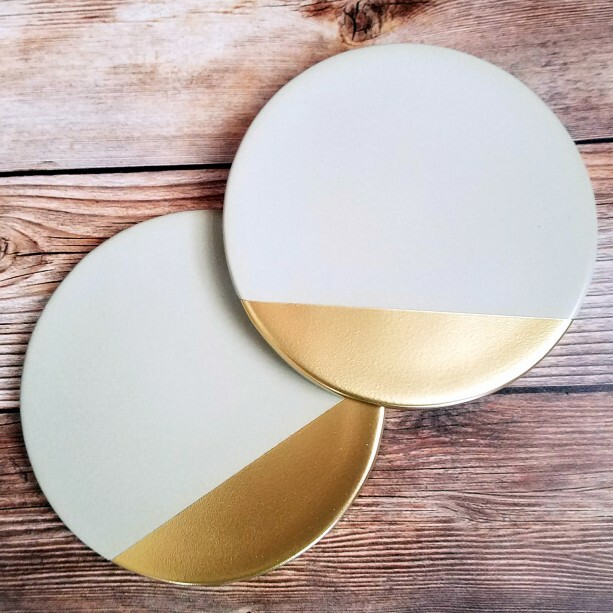 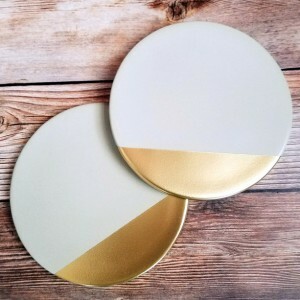 One set of four smooth, high quality cement coasters with metallic gold edge. 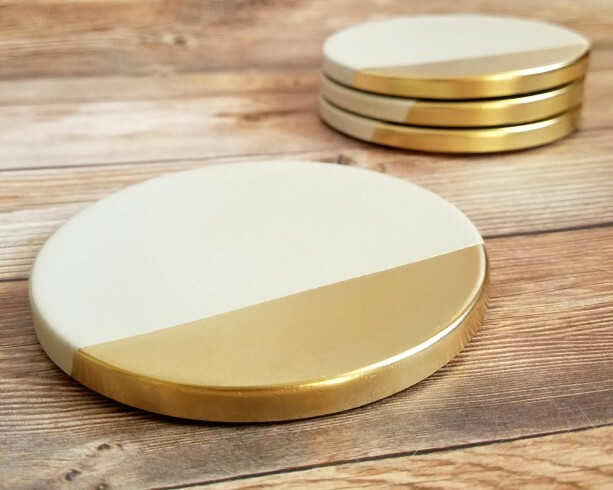 Industrial concrete with a cleanly painted metallic accent makes a sleek and striking addition for any home, as well as a great gift. 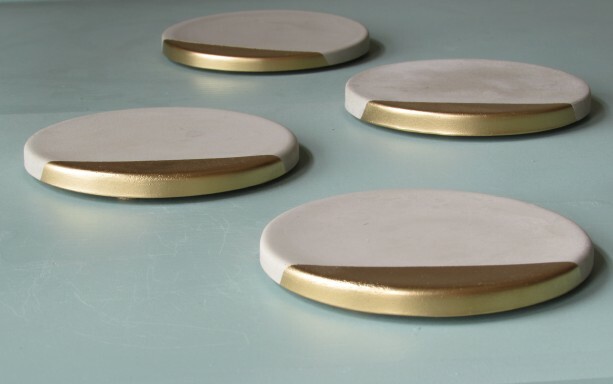 Each coaster is carefully handmade, primed, and painted by me to ensure the highest quality product! 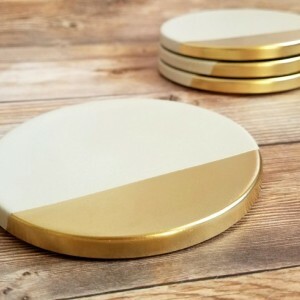 Customization requests are welcome. 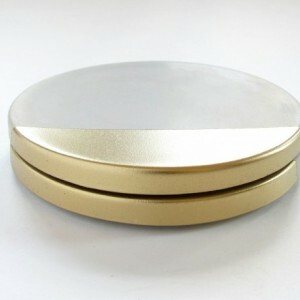 Each measures about 4.25 inches (10.8 cm) in diameter. 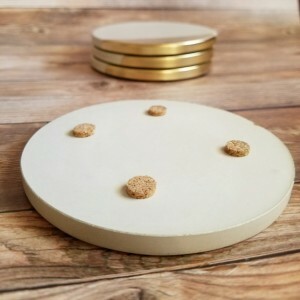 Four cork buttons are firmly affixed to the bottom of each coaster to protect surfaces. Natural cement is a very light, slightly sandy color - it is not pure white.